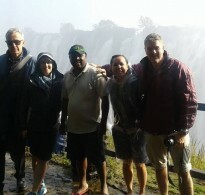 Bantu Pathfinders is a Destination Management Company based in the Tourist Capital of Livingstone, Zambia. We sale Holiday experiences to clients. 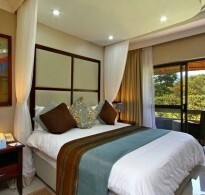 The company specializes in African tailor made packages and travel. Bantu Pathfinders is also open to tailor African packages with clients’ input, to fulfill their dreams and desires. Because of Zambia’s geographical position with eight neighboring countries, our services through our partners go beyond our borders with some of our neighboring countries of Zimbabwe, Botswana, Namibia, and Tanzania even South Africa. 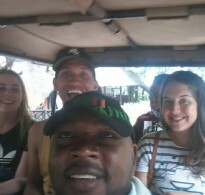 Our tour activities include Road Transfers and Travels, Country and regional Charter planes fly in and fly out Safaris, African Historical and Cooking tours, African Cultural tours, African Drive safaris, African Walking safaris, Bird Watching, and various Accommodation provisions including Camping Safaris and Luxury tents. 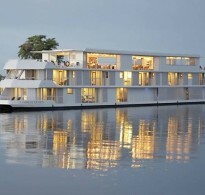 Around Livingstone town we take you to several Adventure and Adrenaline rush activities, flights over the Victoria Falls, Watersports, and Luxury boat cruises, Luxury Safari Dinner train and Safaris animal interactions. As a company, we also facilitate for Conferences and Conference logistics. Through partnerships, our services extend to Eastern and Sub-Saharan African countries of Kenya, Tanzania, Rwanda, and Uganda. As one of leading service providers in the Tourism Industry in this Gem of a Country and Region, we take pride in offering the best Accommodation, Activities, Tours, and Road transfer rates. We are dedicated to serving the needs of our customers each and every day. We will gladly plan your holiday together with you and schedule your transfers from the time you arrive – to the time you depart. We urge you to take a trip to this beautiful country and destination. Our Offices are in Livingstone but our services go countrywide and throughout the region. 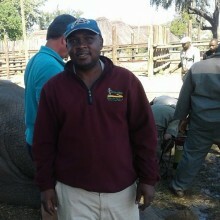 Our Mission is to Market Zambia and the Region to the Global market as a Tourism destination and provide Tourism services to all clients with Honesty and integrity and of course environmentally friendly practices, for instance, we support Kebby Kambulwe, See picture Gallery and are in partnership with FONACOSA. Bantu Pathfinders Ltd is an indigenously wholly owned Zambia company with a mission to market Zambia as a Destination and Provide Tourism services to all Potential Clients. Offer sustainable quality and affordable services.